The travel bug in you can in no way ignore this hot selling item. 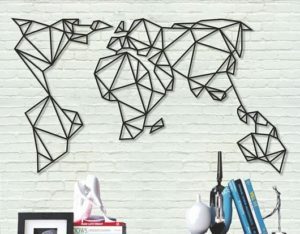 The World Map wall art is a handmade metal silhouette wall decoration piece that will surely spice up your living or office space. The contemporary geometric artwork will soon become the inspiration to travel around.